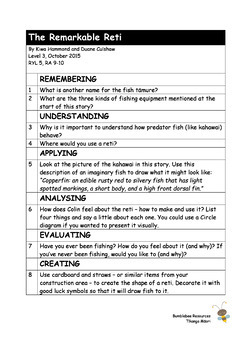 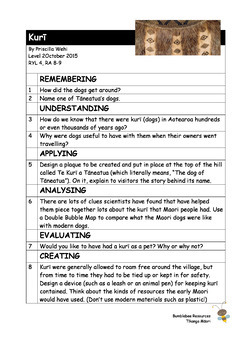 21 independent comprehension activities based on stories and articles from the New Zealand School Journal. 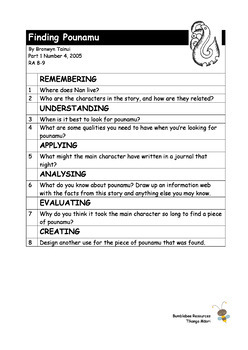 Questions are based on Blooms' Revised Taxonomy, with six levels of questions that probe progressively deeper into the student's understanding of the text and its wider implications. 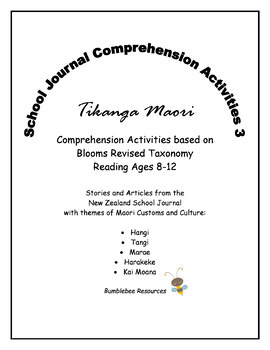 This pack is themed on Tikanga Maori, with stories about Maori culture and practices, often told from a child's point of view.